J. R. Rogers, the inventor of the Rogers' Typograph went to work for Mergenthaler. 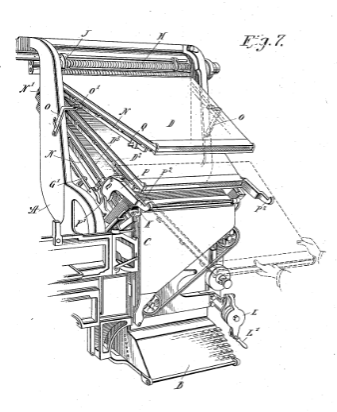 He made many improvements to the Linotype. One of the features of his patent shows a modification to the escapement lever that I've not seen. The lever is held down by a spring and has an open axis point so that by removing the spring the lever can be lifted out. Good idea but I don't think it ever got off the drawing board.